If you are passionate about what you do, you'll never have to work a day in your life! For me that passion is the study of quilt history. I first learned to quilt as a child at my Grandmother Martin's farm in Crawford County, PA. Like many women in the 1970s, the celebration of our country's Bicentennial sparked my love for quilt-making and an interest in the history of quilts. 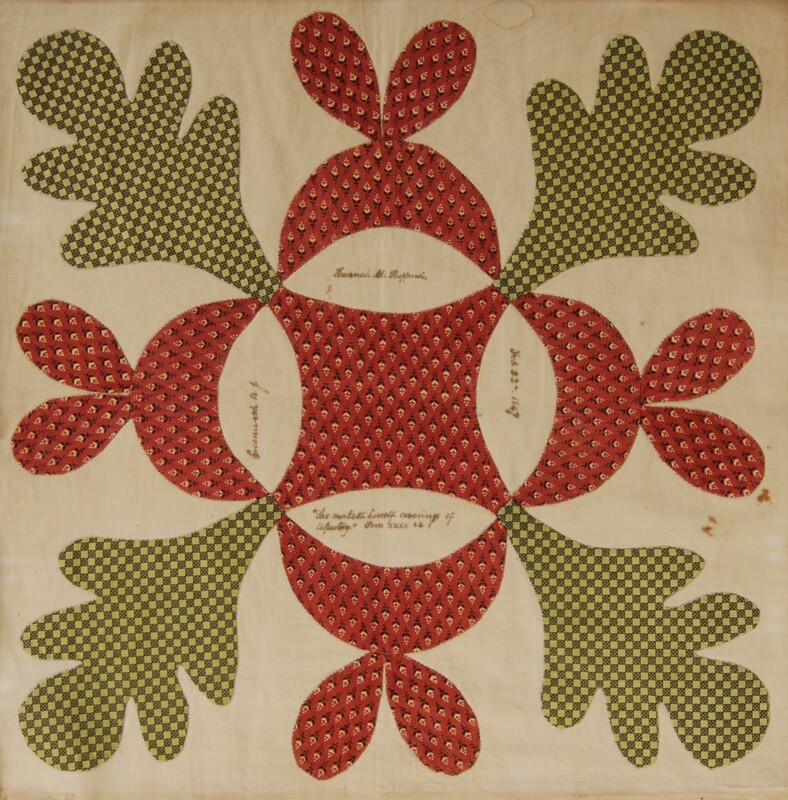 Shortly after settling in Connecticut in 1980, the Connecticut Quilt Search Project began. 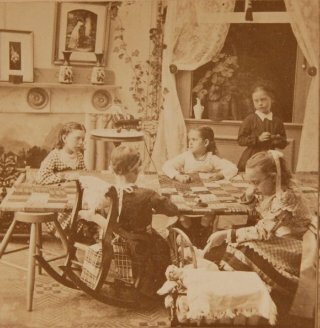 Alongside approximately fifty dedicated women, I documented and researched 3,000 plus quilts over six years, culminating in the publication of Quilts and Quiltmakers Covering Connecticut. 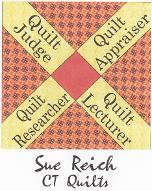 That experience and my membership in the American Quilt Study Group became the spring board to more publications Quilting News of Yesteryear: 1,000 Pieces and Counting, Crazy as a Bed-Quilt, World War II Quilts, and Quiltings, Frolicks and Bees: One Hundred Years of Signature Quilts. 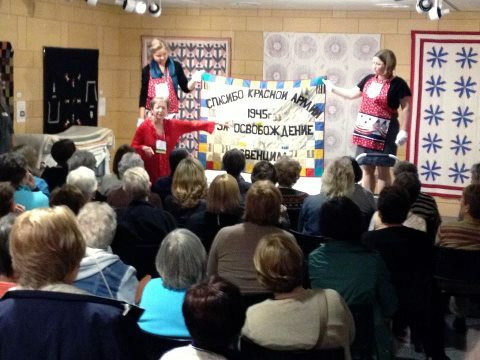 Through presentations and exhibits, I have the opportunity to share my collections of World War II quilts, Flower Garden quilts, Signature quilts, Crazy quilts, Connecticut quilts, etc. Quiltmaking That Saw US through the War Years: 1941 - 1945. Quilts and Quiltmakers Covering Connecticut. Crazy Quilts: The Renderings of Nineteenth Century Quilt Artists. Is It Scrap Happy or 1,000 Pieces and Counting? A Gathering of Red and Green. The Flower Quilts in My Garden. Connecticut's Contribution to the American Textile Industry. Sewing Trade Cards of Connecticut. Happy Birthday, America: Centennial and Bicentennial Quilts. This workshop teaches three Star quilt patterns made during the Worldd War II years. Study the Quilt History Timeline from the first quarter of the Eighteenth Century to the last quarter of the Twentieth Century.